Derek Ryan ‘100 Numbers’ UK Single Release! admin January 8, 2014 Misc. 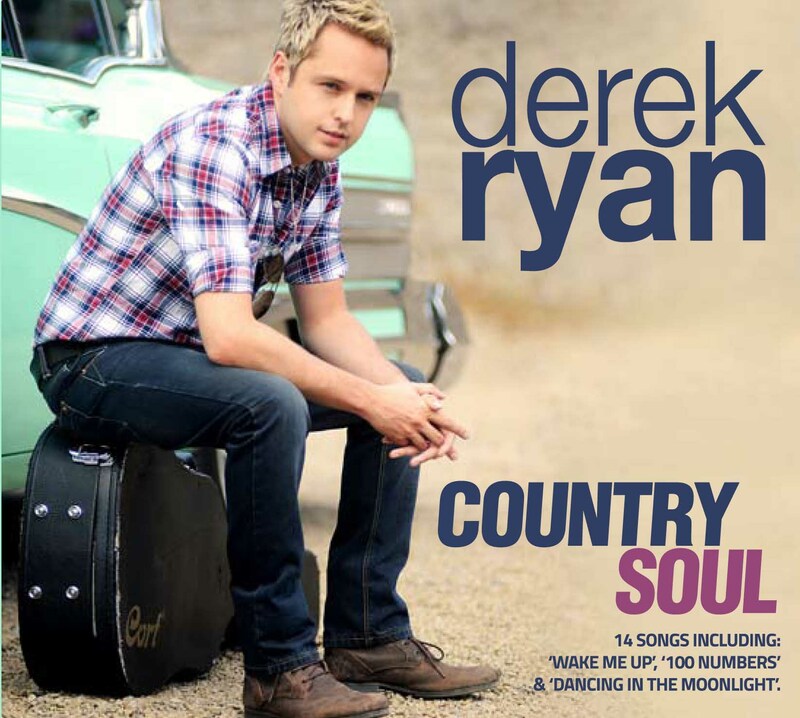 Irish country star set to release his new single in the UK on 24th March taken from new album ‘Country Soul’, out now. Derek Ryan’s career has already been an unquestionable success. He signed to WarnerMusic at the age of 17 with his band D-Side and went on to make a multi-platinum selling record with ‘Real World’. He has also been nominated for several Meteor Awards in Ireland and has had global success with a number 1 single in Japan. Derek has already gained 3 top 10 hits in the UK, and is now looking to further establish himself with the release of his new single ‘100 Numbers’ following the UK release of his new album Country Soul. He commands a very loyal following of fans who have known and loved him since his D-Side days! The ‘Official Derek Ryan Fanclub’ Facebook is constantly buzzing with praise and love for Derek, along with a vibrant Twitter feed which keeps his fans hooked on his new gigs and music. The track itself is a clear nod to his Irish country and folk music roots but also has an unmistakeable pop tone too with a very hooky melody and a catchy rhythm that is hard to shake! ‘100 Numbers’ was, like most of Ryan’s music, self-penned. The lyrics speak of being surrounded by people once he’d moved to London to continue his career, but still suffering from homesickness and missing those he is closest to. It was inspired by a tough time in his life when he was living in a bedsit in the city and desperately wanted to get back to his home in Ireland and continue making the music which he loves and has grown up with. These feelings came despite the ‘100 Numbers’ in his phone, and there was no one who could help him shake his thoughts of home. The song is therefore a look into Derek’s own journey out of loneliness and back to his roots both musically and personally. Musically ‘100 Numbers’ is quite layered with a number of different instruments being used throughout to give it a warmth characteristic of Derek’s music. In terms of comparison, the Westlife pop style is tempting but it has a more contemporary Mumford and Sons, Laura Marling pop folk feel to it whilst retaining a traditional flavour.